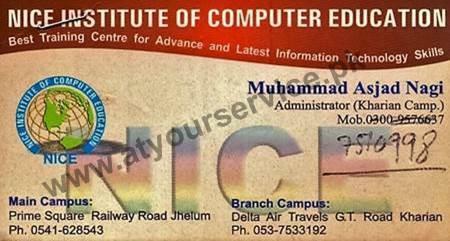 Nice Institute of Computer Education conducts all kind of computer courses. Nice Institute of Computer Education is located on GT Road, Kharian. It conducts all kind of computer courses.